Fitchburg-Frederick George Wilson Jr., 88 of Fitchburg died Wednesday February 14, 2018 in his home surrounded by his loving family. Fred was born in Fitchburg on January 11, 1930 son of Frederick George Sr. and Lena H. (Laquire) Wilson. He was a 1948 graduate of Fitchburg High School and received his Associate Degree in Mechanical Engineering from Worcester Junior College. He also received his teacher’s certificate for Machine Trade in Vocational School. Fred was a lifetime member of the Fitchburg Lodge of Elks where he was Exalted Ruler twice and a longtime Bingo volunteer. He was a member of St. Camillus de Lellis Church in Fitchburg. Fred was a scout master with the Boy Scouts of America for many years. He was known for his annual Christmas village and enjoyed ballroom dancing. Fred loved spending time with his family and enjoyed being outdoors, traveling, camping and the ocean. 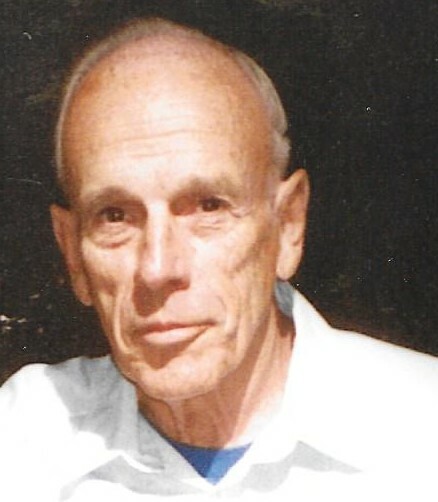 He worked for Chu Associates in Littleton for 34 years, where he had been a machinist in the model shop, foreman of the assembly department, quality assurance manager and production manager before he retired. He served in the U.S Army during the Korean War. Fred leaves his wife of 66 years, Jane (Albert) Wilson, three daughters; Susan Haney and her husband Clifford of Leesville LA., Kathy Martin and her husband Kevin of Merrimack N.H., Lori Provencial and her husband Kevin of Winchendon and one son Timothy Wilson and his wife Marjorie of Winchendon. He also leaves ten grandchildren and three great grandchildren. Fred was predeceased by his son Scot Wilson in 2016, his granddaughter Alexis Wilson in 2003 and also by his sister Hazel Prescott and her son Alan. A Memorial Mass will be held for Frederick on Wednesday, February 21, 2018 at 11:00am in St.Bernard’s Parish at St. Camillus Church 333 Mechanic St Fitchburg. Burial will be at a later date. Calling hours will be held Wednesday morning from 9 until 10:30am in the Aubuchon-Moorcroft Funeral Home 132 Woodland St Fitchburg. In lieu of flowers donations may be made to a charity of one’s choice.